Only two chocolates left on the advent calendar! Christmas is almost here! I think this will be the last year for Santa Claus in our house. The girls are finding it all far-fetched. They're still reeling from learning the truth about the tooth fairy so we're trying to keep the magic alive for a little while longer. Personally, I will be glad to retire that darned Elf on the Shelf. My apologies for falling behind with our newsletters. This first year at the helm has been incredibly busy as we try to juggle work, family and travel. Thank you for your patience. As we come to the close of our centennial year, I'd like to finish the story of Pasquale Brothers. After completing her BA in geography at the University of Toronto in 1972, my mother, Anna Marie Kalcevich (née Madott) decided to join her father, Henry at the store. My father, John Kalcevich, came on board a year later. My grandfather moved to part-time hours, leaving work everyday at 2pm to visit with his grandchildren. 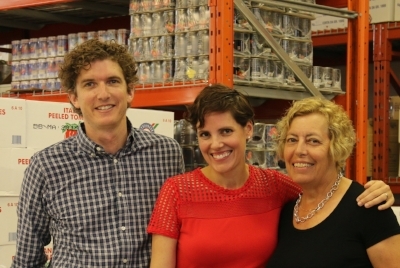 My mom soon became the third generation of the Pasquale family to run the business. 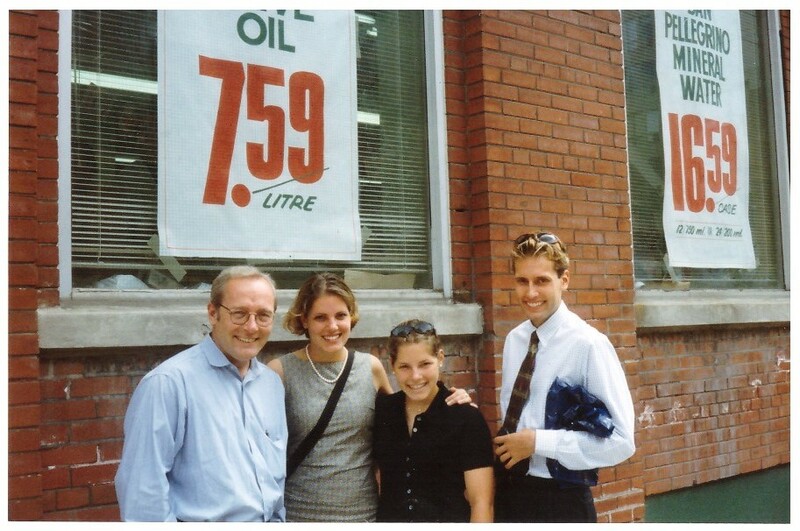 As Canadians began to travel more, my parents attended international trade shows to keep up with global trends. As the business expanded, they moved to 217 King Street East in 1981, the red brick building that so many of you remember. It's the current home to the George Brown College Chef's House. My siblings and I spent every Saturday working in that building, along with many of our friends and neighbours. Here are a few pictures of the old store. 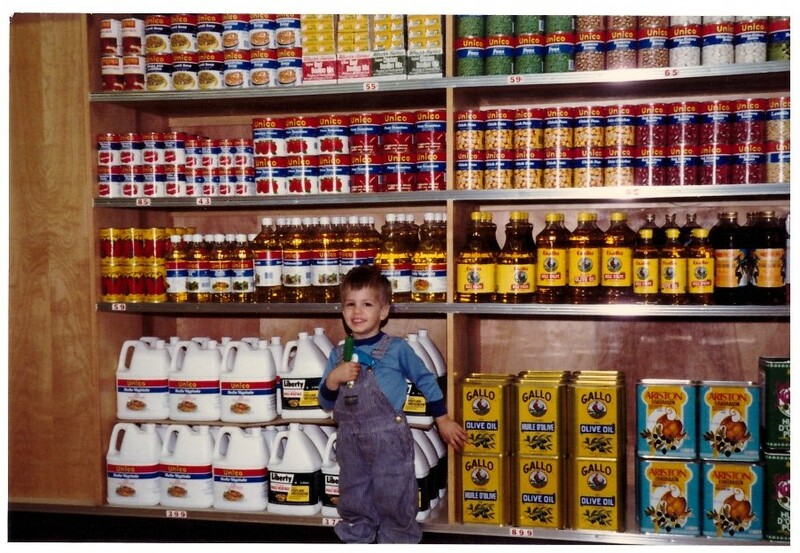 Left is a tiny Richard Kalcevich standing by shelves with oil and tomatoes. Middle is a family picture taken at the five year anniversary at 217 King. Right is outside the red brick store front with the hand-painted signs in the windows. A few years ago, my mother was ready for more time to spend with her grandchildren and leisure activities. My wonderful husband, Tony Burt, deserves special recognition for supporting my desire to take over the family business. It takes a brave man to sign on to work with both his wife and mother-in-law. I'm pleased to report we are all still on speaking terms and my mom is able to enjoy some much deserved time away from work. 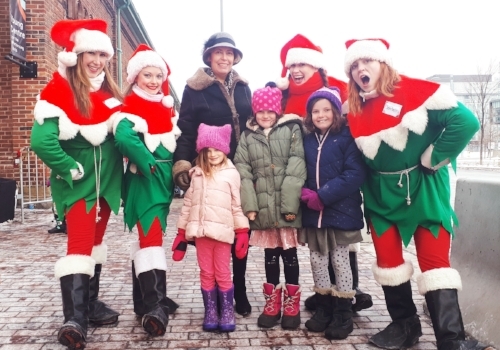 Here she is taking her grand-girls out to a Christmas play. It is an honour to be fourth generation of the family to run Pasquale Brothers. Thank you for your support.